DECA is the second largest high school organization in terms of membership only behind National Honors Society so it’s a large group, male-female, all grade levels, there’s even an ability to carry on with it in a college level. 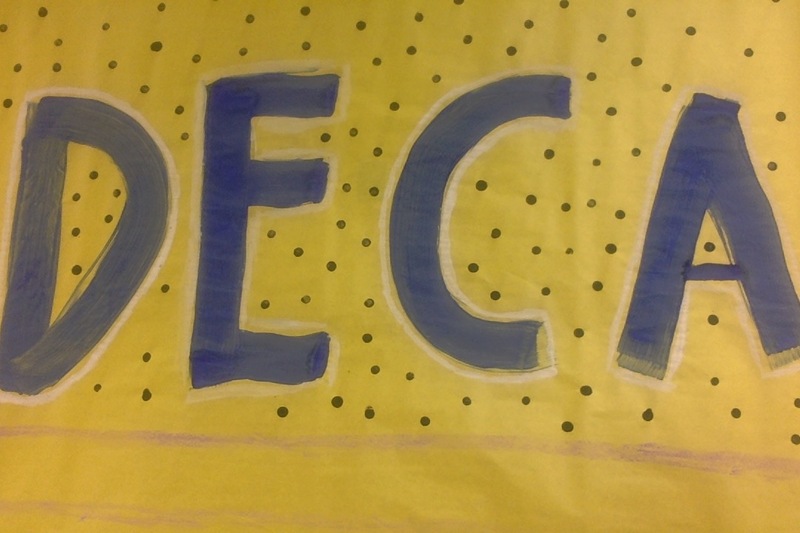 “DECA is a competitive club for students interested in business and marketing, it’s an opportunity for networking, competitions, and socializing. It gives you skills for the real world,” DECA sponsor and Business Department Chairperson Kristen Hittner said. Despite the lack of press, DECA is a very accomplished program. “Last year we had a rookie DECA member sophomore Will Bender that qualified for nationals, and actually ended up being one of the top 20 people. He had to beat out our district, our state, in that event, they compete against about 300 or more different competitors in his individual event. I’ve only had one other finalist and that was our first year,” Hittner said. The culture is very welcoming to new members. “Everybody is nice and unique and all generally want to advance in business. They’re all serious about what career path they’re going to do. They’re all nice people who are willing to help you out. I would recommend any student interested in business or they would like a career in business. If you’re interested in DECA I suggest seeking out Mrs.Hittner to join,” Fourth-year member Matt Hampton said.